Stuffed Zucchini Boats are the perfect way to enjoy your fresh summer zucchini! 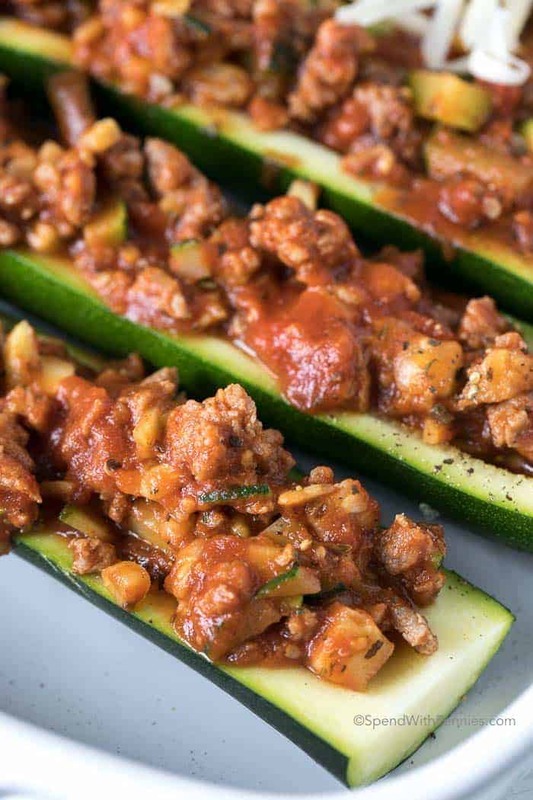 Tender zucchini filled with a silky meat sauce, topped with cheese and baked until tender. 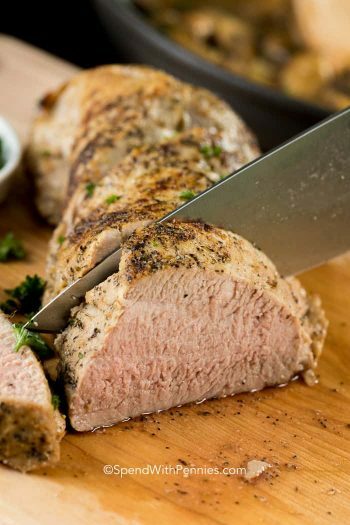 Serve this easy dish with a side salad and garlic bread for the perfect family meal! Of all of the things that grow in my garden, the herbs and the zucchini have to be my absolute favorites (ok, and the tender baby carrots). 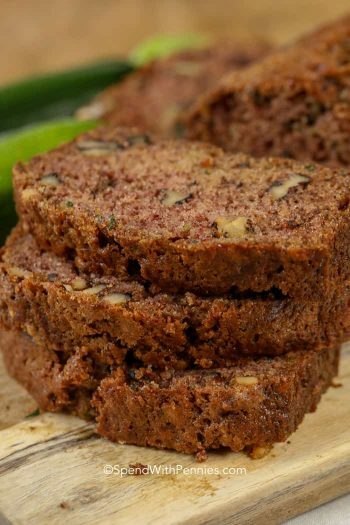 There are a million different things you can do with zucchini from sweet (like Zucchini Brownies) to savory including this recipe. With a garden FULL of delicious zucchini I often make a loaf of Pumpkin Zucchini Bread since it is moist and delicious and freezes perfectly. I also shred and freeze zucchini for future baking or even to add into homemade pasta sauces (it’s a great way to add bulk to a meal). I’ve got some great tips on How to Freeze Zucchini here. As much as I love zucchini in baking, I also love to enjoy it fresh out of the garden for dinner. I have been making stuffed zucchini boats for years, it’s easy and delicious and the perfect way to enjoy the bounty from my garden! 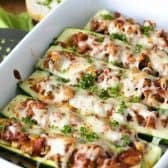 A quick and simple meat sauce spooned into zucchini boats and topped with a little bit of cheese. These stuffed zucchini are baked until tender and the cheese is melted and bubbly. 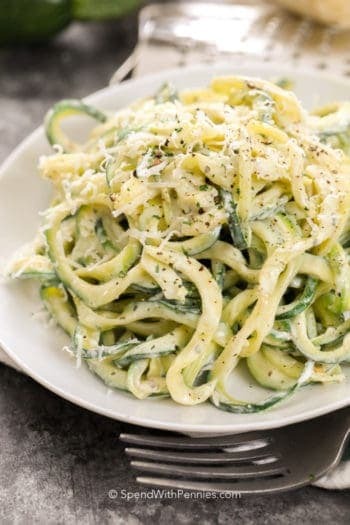 Creamy Zucchini Noodles: Ready in 3 Minutes these easy zucchini noodles can be made with or without a spiralizer! Crispy Oven Baked Parmesan Zucchini Fries These easy parmesan zucchini fries are so good you’d never know they’re baked and not fried! 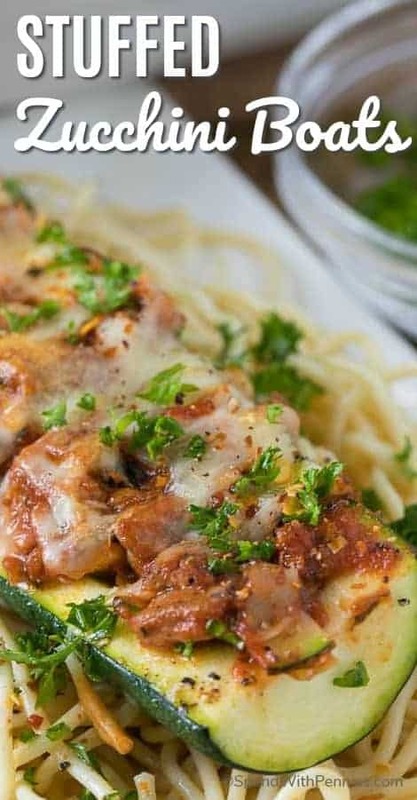 Parmesan Chicken Foil Packets: Zucchini is the perfect addition to these quick and easy foil packets. We love to serve them over spaghetti! Zucchini Brownies If you’ve never had zucchini brownies, you’ve been missing out! They’re so moist topped with a perfect 1 Minute Frosting! I’ve included directions below for my quick stovetop meat sauce but if you happen to have leftover meat sauce (or even some in the freezer) you can most certainly use that… leftover chili works too! This recipe is easy to make and you can add any chopped veggies into the sauce that you’d like. Once I scoop the middle out of the zucchini and chop up the core and add it to the beef while it’s cooking. Easy Stuffed Zucchini Boats are the perfect way to enjoy your fresh summer zucchini! 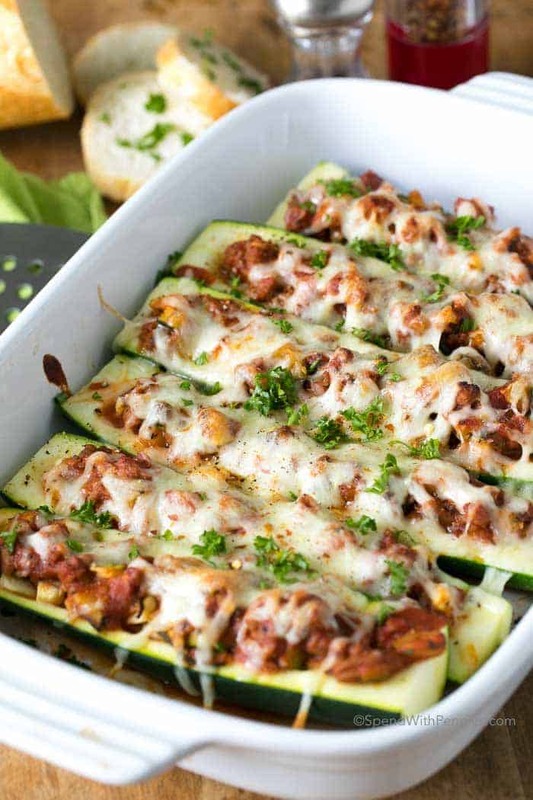 Tender zucchini filled with a silky meat sauce, topped with cheese and baked until tender. Brown ground beef, onion and garlic until no pink remains. Drain any fat. Stir in 1/2 cup pasta sauce, tomato, bell pepper and Italian seasoning. Let simmer 10 minutes. Remove from heat and stir in 1/2 of the cheese. 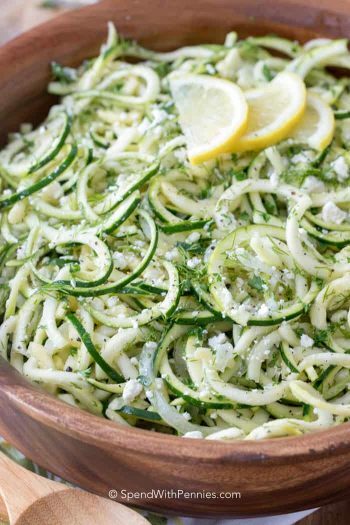 Slice zucchini lengthwise and scoop out the center to create a shell and place in a baking dish. Fill each zucchini with 1/4 of the beef mixture. 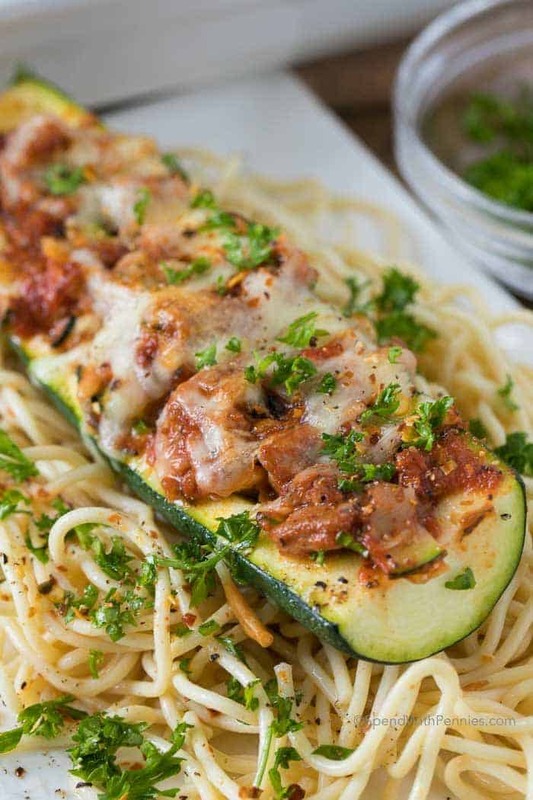 Spread the remaining 1/2 cup pasta sauce over the zucchini boats and top with remaining cheese. 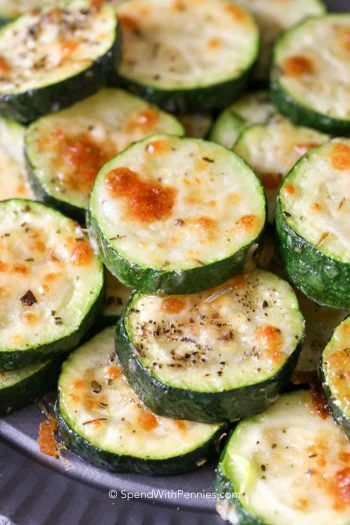 Bake 25 minutes or until zucchini is soft and cheese is bubbly.